All of parliament’s time and energy is spent on trying to square the Brexit circle. An impossible task. Every fresh attempt leads to a plan to reinvent the wheel. This may lead to some success. A new wheel may evolve, only for its inventors to find it is not as round as the original. On June 12th and 13th, another attempt will be made by well-intentioned circle squarers to achieve the impossible. Fifteen Lords amendments will make their way to the floor of the House of Commons. The one amendment that has caused the greatest consternation on the Labour side calls on the UK to stay within the European Economic Area (EEA). The amendment needs a decision so Labour’s position is to abstain if the party’s bid to replace it with our own amendment fails. I’ll be supporting the warm words of our amendment, but I’ll also be voting for the Lords amendment because a decision needs to be made. Being part of the EEA ensures we stay part of the EU’s single market and the economic security that offers. The EEA is the only model that allows this and offers the certainty business is looking for. Is the EEA perfect? No. Although it replicates the single market, it doesn’t cover agriculture and fisheries, for example. In the time of circle squaring in which we live, we are not going to achieve the exact same benefits of the single market without being members of it. Yes, as part of the EEA we will be rule-takers, not rule-makers. But to believe any alternative to membership of the EU will allow us to be a rule-maker means the seductive words of the Brexit fairy have been listened to for far too long. We can only formulate the rules of the club if we are members of the club and we won’t be. If we are outside of the single market and not in the EEA, our future will be to rub along the borders of the EU seeking continuous frictionless realignment. Far from being frictionless, sparks will fly as regions of the UK, such as the North East of England, suffer the economic consequences of not being part of the single market. Even the government’s own economic impact assessment show there will be negative consequences. Open Britain estimate that leaving the EEA will cost the region £1.1bn every year by 2030. That would be like losing the pits a second time. As part of the single market through the EEA, free movement of labour will still be the rule. Representing a constituency that voted for Brexit, I understand how important immigration was to those who voted to leave. The EEA can help address those concerns while limiting the impact on the economy. However, if we are not part of the single market, it will be those areas of the country that voted for Brexit, where free movement is seen as a problem, that will be hit hardest economically. After Brexit, the primary concerns of those living there will not be with free movement, but with how to pay the bills, put food on the table as they watch the public realm of welfare, health and education remain underfunded, the economy shrink and business decide to invest elsewhere. I do not understand how being out of the single market, with an 11 per cent reduction in GDP in my region and an 8 per cent reduction in the North West, can improve the concerns people may have around free movement. I believe all my Labour colleagues know the consequences of Brexit. That’s why the vast majority campaigned to Remain. They understood, including those like me from Brexit-voting areas, that to stay in the EU would mean free movement but also a secure British economy. An economy, when in the right hands, can be shaped for working people whereever they live. If that was true before the referendum, it is surely true now. The EEA is the only available option that mitigates the worst excesses of Brexit. I will be supporting the Lords amendment because the UK economy will suffer enough from the disruption to come and our priority should now be to minimise risk. I fundamentally do not believe people voted to leave the EU to make themselves poorer. That means taking the only available way of staying in the single market. The only alternative to access to the single market outside of the EEA will be through a free trade agreement as a third country, which will never give us rights and benefits comparable to those we have now. That means not having full access and the exact same benefits. We now need more than an amendment crafted out of warm words. They are the equivalent of sitting in the kitchen on a cold winter’s day drinking a hot cup of soup. The soup makes you feel warm and comfortable inside, but you still know you have to go outside into the cold to face the world. The decision to do so can only be put off for so long. The EEA is the least worst option and will help secure the jobs and living standards of those we profess to defend. We are now entering the time where economic damage limitation should be at the forefront of our decisions. The EEA, with all its imperfections, is the only available option in the Age of Squaring Circles. 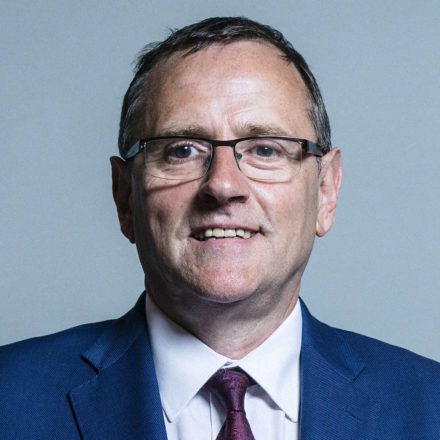 Phil Wilson is MP for Sedgefield and a leading supporter of the Open Britain campaign.